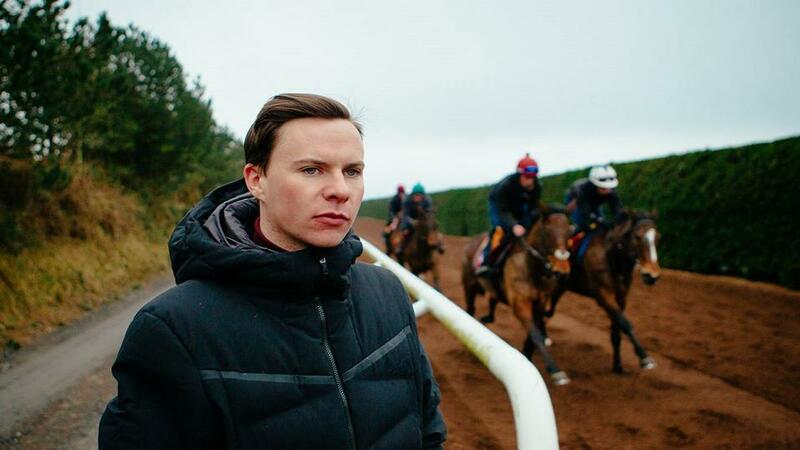 A visit by the Joseph O'Brien Racing Club to Owning Hill 12.01.19 Huge thanks must go to Joseph, Kevin, all the staff and horses for everything. 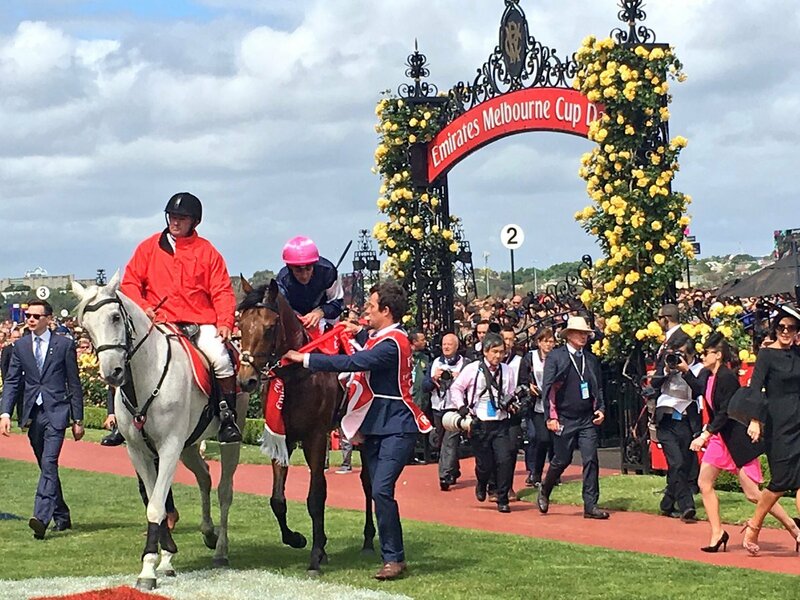 As we count down to the start of another season on the flat on the turf I took a look at a few of the horses I am looking forward to seeing again including the Group 1 Melbourne Cup Winner Rekindling. Included are some unraced 2-year olds who can hopefully go on and become successful in the coming season. Buckhurst - Australia Colt. A half-brother to Duplicity and Naive Gamesmanship. Dam was a Maiden after 6 runs. from the family of Chintz dam of Multiple Group 1 winner The Gurkha. Camelot x Meisosis Colt is a half-brother to 5 winners including multiple winners League Champion and Little shambles. Dam had 1 win from 3 starts over 7 furlongs. From the family of Aleagueoftheirown dam of Multiple Group 1 winner Alice Springs. No Nay Never x Opera Fan Colt is the Dam’s first foal from the Johannesburg and Cape Cross sire lines. From the family of Multiple Group winner Neatico maybe a Royal Ascot type? Downdraft – Camelot Colt has had 3 runs on the all-weather from 7 – 8 furlongs, he has improved with each run, was a winner over 7 furlongs. He is a half brother to 8 winners who won over distances from 6 – 16 furlongs, his dam ran 9 times winning once over 10 furlongs. Should be a better horse on the turf. He has entries in both the English & Irish Derby’s. Escamillo – Bated Breath Colt had 2 runs at 2 from 6.5 furlongs to a mile, his best effort coming over a mile in heavy ground which he won, his dam ran 25 times winning 4 her best efforts were in soft and heavy ground from 8 to 10 furlongs, has entries in both the Irish 2000 Guineas and Irish Derby’s he is a lovely prospect. Latrobe – Camelot Colt who is a dark horse had only 1 run as a 2-year-old he finished 2nd over a mile a ½ length behind Multiple Group 1 winner Founds brother James Cook he left a nice impression that day and I am looking forward to seeing him again as a 3-year-old. His dam ran 5 times winning 1 on the all-weather over 6 furlongs. He has entries in both the English & Irish Derby’s. Subjudice - Galileo Colt, has had 1 run on the all-weather over 7 furlongs where he finished 7th. He will be a better horse when he goes on turf and will come on in leaps and bounds. He is a full brother to Listed winner and Group 3 placed Wild Irish Rose. He is a half-brother to 4-time winner and much missed Cradle Mountain who was a winner from 8 – 17 ½ furlongs. Dam was a Maiden after 5 starts. He has entries in both the English & Irish Derby’s. Rekindling – High chaparral Colt has run 10 times winning 4, he won his Maiden over a mile in the soft. 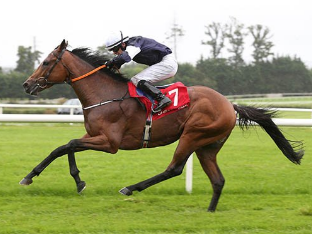 He won the Group 3 Ballysax stakes over 1m 2f on good to yielding, the Group 2 Comer Cup over 1m 6f on good ground and the Group 1 Melbourne Cup over 2 miles in good ground. When winning the Ballysax he beat group 3 Derrinstown stud Derby Trial winner Douglas MacArthur, Group 1 Racing Post trophy 2nd Yucatan and Group 1 Irish Derby winner and group 1 English St Leger winner Capri. In the Curragh Cup he beat Grade 1 Punchestown Champion hurdle and Group 1 Irish St Leger winner Wicklow Brave, Group 3 Ballyroan stakes winner Stellar Mass and Group 3 Vintage Crop Winner Forgotten Rules. When winning the Melbourne Cup he beat Group 1 Criterium International winner Johannes Vermeer, Group 2 Lonsdale Cup winner Max Dynamite, Group 2 Chairman’s h’cap winner Big Duke, Grade 2 Leamington Novice’s hurdle winner Thomas Hobson, Group 2 Lucien Barriere Grand Prix de Deauville winner Tiberian, Group 3 Kingston Town stakes winner Libran, Group 2 Darley Prix Kergorlay winner Marmelo, Group 2 Comer Group international winner Oleander, Rennen winner Red Cardinal, group 1 Emirates Melbourne Cup winner Almandin, Group 3 Lexus stakes winner Cismontane, group 2 Queen of the South stakes winner Amelie’s Star, Group 1 Caulfield Cup winner Boom Time, Group 1 Vinery stud stakes winner Single Gaze, group 3 Chester Vase winner US Army ranger, group 1 Makybe Diva Stakes and group 1 Australian Cup winner Humidor, Group 1 the BMW, Group 1 Yellow Glen Turnbull stakes winner Hartnell, Group 1 Premio Del Jockey Club winner Ventura Storm, Group 3 Coolmore Vintage Crop stakes winner Bondi Beach, and Group 1 Grand Prix de Paris, Group 1 Sydney Cup winner Gallante. He is a colt that sets the pulses racing whenever he appears. Should contest all the stayers races this year. War Command x Holy Alliance - Dam's 3rd foal, She is a half-sister to stable companion Eos, she is a homebred filly, from the family of Hellenis and Islington, she is pleasing Joseph in her homework, She is a January filly who could be an early season 2 year old perhaps a Royal Ascot type? Dark Angel x Fascination – Filly, Dam of 1 winner from 1 runner and 3 foals of racing age, from the family of Multiple Group 1 winner Soldier of Fortune and Group 1 winner Sholokhov. 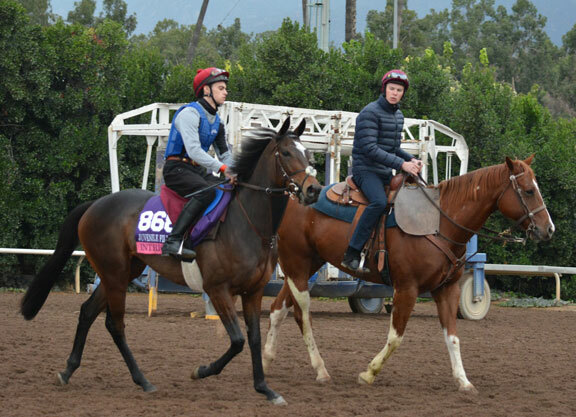 Anchovy – Galileo Filly ran 1 time on the all weather over 7 furlongs where she finished 8th. She will be a much better prospect on the turf. She is a half-sister to 9-furlong winner Caviar Czar. Her dam was a Maiden after 5 starts, her best effort was a 2nd place in a Listed event over 8 furlongs. Her 2nd dam is the Dam of Group 1 Epsom Derby Winner Ruler of The World and Multiple Group 1 winner Duke of Marmalade. 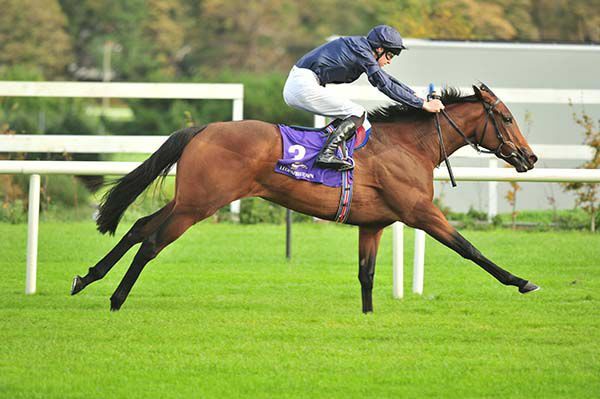 The Galileo, Storm Cat cross is responsible for Multiple Group 1 winners Churchill, Decorated knight and Gleneagles. Baroness – Declaration of War Filly ran 5 times from 7 to 8 furlongs winning once over 8 furlongs. Current rating of 90 should improve this season. She is a half sister to 6 winners Endless Power (16 – 21f), Perfect Truth (11f), Apache (12f), Marchese Marconi (11 – 20f) and Beyond Brilliance (7 -10f) should be better for a step up in trip. She is entered in the Irish Oaks. Seize Your Star – Unraced Daughter of Sea The Stars. Her Dam ran twice and was unplaced in both of her starts. Her 2nd dam is the dam of Multiple Group 1 Winner and young sire Karakontie. She is entered in the Irish Oaks. 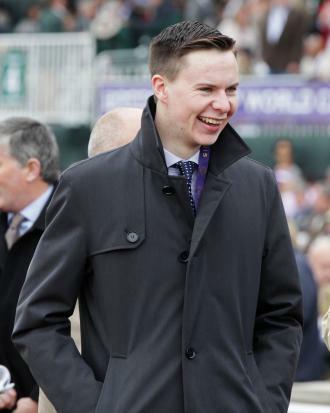 2015 must have been a long and trying year for Joseph, he must have done a lot of soul searching throughout that year, at the end of the flat season Joseph was finding there was increasing pressure on him to maintain his weight and with the arrival of Ryan Moore he was finding it difficult to maintain the partnerships with the Group 1 winning horses like Gleneagles, he made a brief stint as a jumps jockey but things didn't work out for him in that sphere either and he finally retired. In 2016 he decided to apply for a trainer's licence. Flat racing's loss would be the training ranks' gain. 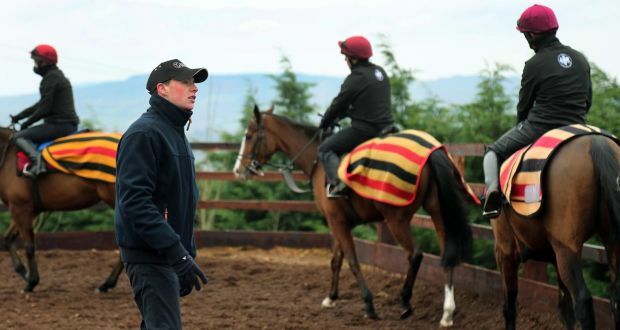 There was no course open to him until May of 2016, so he missed out on claiming his first Grade 1 winner as a trainer when Ivanovich Gorbatov won the Truimph Hurdle at the Cheltenham festival in March under his fathers name as he wasn't yet licensed but you knew it would only be a matter of time before he would make a big impact in the training sphere. 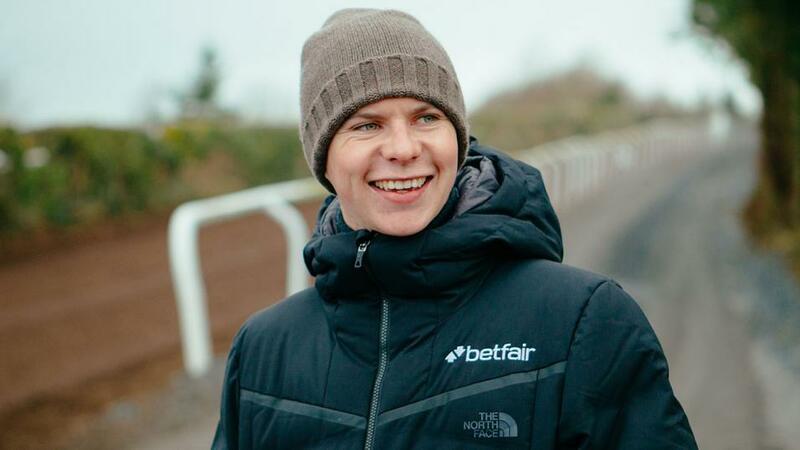 Joseph completed the Turf Club’s Pre-Racehorse Trainers Development Course in late May of 2016,where he passed his exams and was granted his trainer's licence on Friday, June 3rd, 2016. He had his first runners on Bank Holiday Monday, June 6th and made an explosive start to his new career with four winners on his first day with a licence. 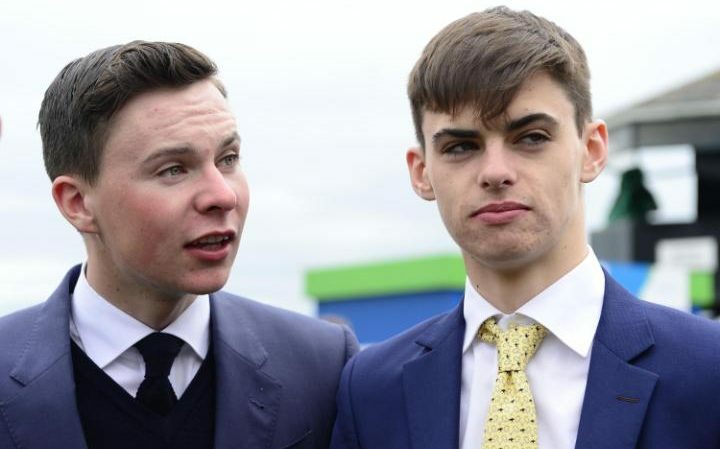 He was on the mark with his first runner, Justice Frederick, who was ridden by his brother Donnacha, in the Irish Stallion Farms EBF Maiden and the 6/4 chance got the better of his father Aidan’s 6/5 favourite Leo Minor to win. Donnacha was also on board Zig Zag who won the Gowran Park Club Handicap later in the day and for good measure, Joseph’s sister, Sarah, rode Oathkeeper to win the Dr Louis O’Carroll INH Flat Race at Listowel. In between those winners, Mai Fitzs Jack and Brian O’Connell landed a maiden hurdle at the Kerry venue. Joseph’s first winners came just a day short of the 23rd anniversary of his father’s first winner, Wandering Thoughts, at Tralee on June 7th, 1993. 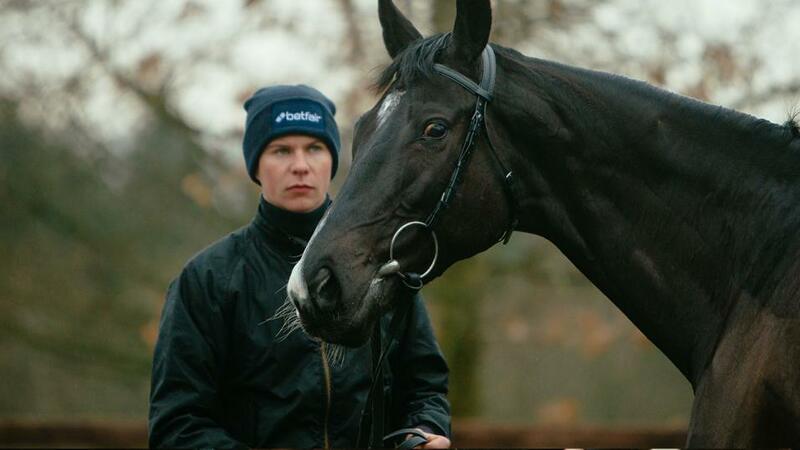 He didn't have to wait too long for his next winner to come along when No Biggie won a handicap on the flat at Leopardstown on the 9th, the next day Oh Me Oh My became his 3rd winner over hurdles. it would be another 9 days before he would taste success again, this time it was with Intricately who would go on to become Joseph's top juvenile filly. He would have no further winners over jumps in June but would have a further 4 winners on the flat. Saw Joseph with 7 winners over jumps including 2 horses with 2 wins apiece in Oath Keeper and Tesseract and 5 wins on the flat with one horse with 3 wins in Arya Tara. 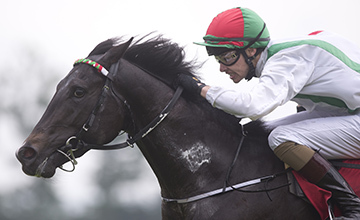 On the 14th July Arya Tara became Joseph's first stakes winner when she won the Listed Race Irish Stallion Farms European Breeders Fund Stanerra Stakes at Leopardstown. 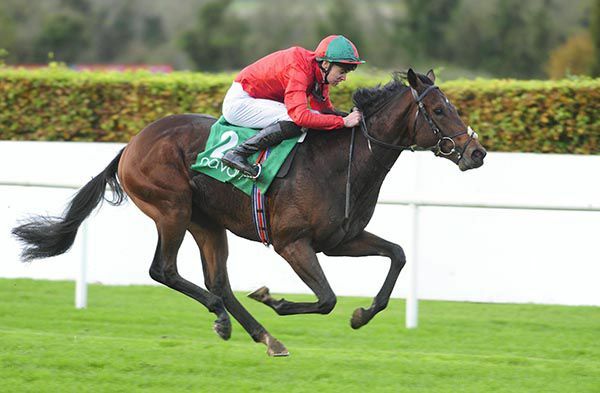 Motherland was one of Joseph's easiest winners when winning the Eventus Handicap at Galway by 17 lengths on the 25th July. Was a quiet month for Joseph just 2 wins on the flat with the 2 year old Sweetasever and Udogo and 2 winners over jumps with Hallmark and the ever reliable Plinth. Saw Joseph make a return to the saddle to win the Clipper Logistics Leger Legends Classified Stakes on the George Scott-trained Phosphorescence at Doncaster on September 7th, 2016. Just four days later he landed his first Group 1 success as a trainer when Intricately, bred by his mother Annmarie and ridden by his brother Donnacha, won the Moyglare Stud Stakes at the Curragh on Longines Irish Champions Weekend. It was also a first Group 1 success in the saddle for 18-year-old Donnacha. Even though he had won his first Group 1 it was another quiet month for him with just 2 winners apiece in total on the flat and over jumps. Lord Justice became his first juvenile hurdle winner with stable companion Zig Zag back in second. Just 1 solitary winner on the flat in October with Jaqen H'Ghar as opposed to 6 winners over jumps with Lord Justice again leading the way from Zig Zag who finished 3rd followed by wins from the quirky Cradle Mountain who came from last to first to land the Woodlands Hotel Adare Handicap Hurdle, All the Answers, the quirky Zig Zag ,Rosshaven Lady and Kalopsia. With the flat seson coming to an end Joseph started sending his runners to the all weather at Dundalk. Another quiet month 1 winner on the flat at Dundalk with Druids Cross and 2 winners over jumps with the exciting ex Ballydoyle inmate Landofhopeandglory in the juvenile division. His first success was over ex Ballydoyle stable companion Big Ben both horses made very nice debuts that day. 12 days later Landofhopeandglory would be out for a repeat success a length winner over the highly regarded Bapaume. Intricately was sent over to America to contest the Breeders Cup alas it didn't work out for her as the track was a bit too sharp for her. She would be put away for the season with thoughts turning to the first fillies classic at Newmarket the 1000 guineas. 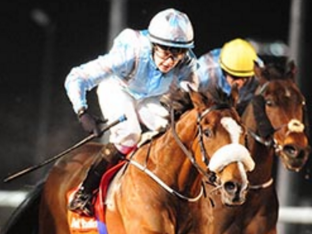 4 winners for Joseph on the flat at Dundalk during December with Duplication, Jaqen H'Ghar and 2 wins from Song of Love. He trained 4 winners over jumps too with Kalopsia storming 11 lengths clear of her nearest rival, wins for Aeglos and Exactoris, but it was the exciting juvenile Landofhopeandglory who would give Joseph his biggest success to date with his jumpers when winning the Grade 3 Bar One Racing Juvenile Hurdle from old rival Bapaume. 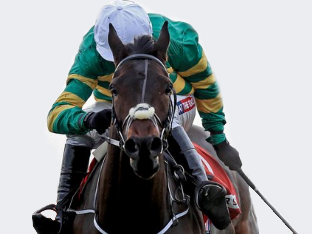 That win would see Joseph's horse go into the winter as the early favourite for the Grade 1 Triumph Hurdle. Although that wouldn't last as he was set to face Bapaume again on St. stephens day this time he finished runner up to his rival in the Grade 2 Knight Frank Juvenile Hurdle. There would be other opportunities to get his head back in front before that heady day in March. Slowmotion was touched off in the Grade 3 Willis Towers Watson European Breeders Fund Mares Hurdle. But she would find her niche over the larger obstacles. The turn of the year hadn't yielded any of the harsh weather normally associated with that time of year. 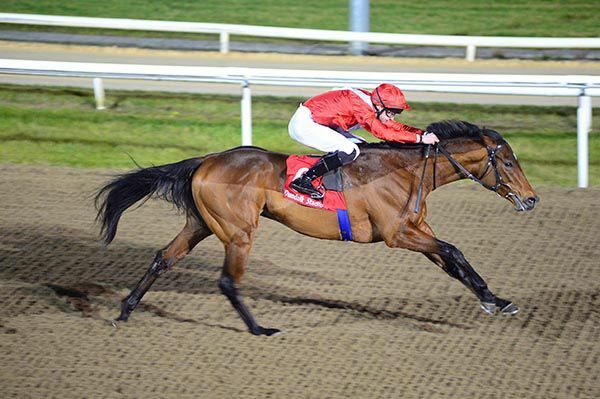 1 winner for Joseph on the flat at Dundalk with Udogo on the first day of the new year, He gave Joseph the 50th winner of his training career. Another 4 winners over jumps with West Coast Time running out an impressive 9 and a half length winner on his bumper debut, that run would have had the juices flowing at the thoughts of the champion bumper at the Cheltenham festival. His dam Refinement had finished runner up in it and it was hoped that her son could uphold the family tradition. The mare Slowmotion got her jumping together over jumps when winning a mares beginners steeplechase. Edwulf was surefooted when taking his beginners chase at Punchestown. Katnap won over 2m 5f to show age is no barrier when it comes to winning a race. Was a very good month for Joseph with 10 winners, 6 on the flat and 4 over jumps. His winners on the flat were at Dundalk, Ligeti winning twice in that time. Joseph had a treble on the 17th courtesy of Remember The Days, Ligeti and Song of Love. Slowmotion wins the Listed BBA Ireland Limited Opera Hat Mares Chase to give Joseph another stakes winner. Early Doors becomes another exciting bumper horse for Joseph when winning on his debut by 9 lengths. All roads lead to Cheltenham in March. Joseph sent 5 horses to the Cheltenham festival Edwulf, Landofhopeandglory, WestCoast Time and Zig Zag. All run with promise except for Edwulf who was running a stormer of a race in the National Hunt Chase when he went wrong in the closing stages of the race when lying second he collapsed. He is back home and one can only hope that he makes a full recovery. Shades of Coombes Ditch who used to give all in his races too. Joseph also saddled his first treble in either sphere with the winner High Tide, Us And Them was 2nd and Cornellius Sulla 3rd in a National Hunt Bumper. Shady Operator and Mortal were Joseph's other National Hunt winners when they both won a Bumper. Circus Ring and Tommy Welsh were Joseph's flat winners that month. Katnap ran a great race in the Grade 3 Topham at the Aintree Festival over the National fences when he finished a length behind the winner that day he would have been a different story if he hadn't made a bad mistake at the second last. Despite that April was a quiet month with the jumpers yielding only 1 winner with the Mare Slowmotion who won the Grade 3 Farmhouse Foods Fowler Mem. EBF (M) S´ch. She had another run at the end of April where she finished 2nd. On the flat Joseph got of to a great start with Rekindling, the Colt won the Group 3 P.W.McGrath Memorial Ballysax Stakes from Joseph's fathers Yucatan, Douglas Macarthur and Capri. He followed that up with wins from Kalopsia the mare coming off the jumps, and Ruby Gates makes it 13th time lucky, also the exciting 2 year old True Blue Moon who beat Joseph's father's well regarded Dali. Intricately makes a nice reapperance when she finished 4th at Leopardstown, all roads lead to Newmarket for the 1000 Guineas. Yields 10 winners for Joseph, 3 on the flat and 7 over jumps. Amongst his flat winners is the exciting 2 year old True Blue Moon a very nice colt who was a winner of the Listed Coolmore War Command Rochestown Stks. If he goes to Royal Ascot I can see him running a big race in which ever race he is entered in. He again maintained his dominace over Dali who finished 7th of 7. Rekindling was sent to York to run in their Derby trial where he finished a staying on 4th in the Group 2 Betfred Dante stakes all looked good for the Derby on the 3rd of June. Intricatley finished 12th at Newmarket in the Qipco 1000 Guineas, it was clear that wasn't her true running and looked like she didn't act on the course. 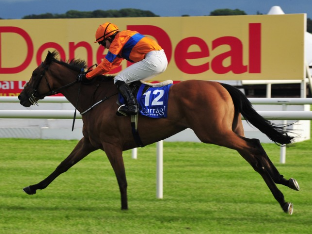 She returned to action when finishing an encouraging 4th in the Irish 1000 Guineas. She will have many more chances to add to her Group 1 win in the Moyglare stud stakes. It shows her run at Newmarket wasn't her true form. Cook Islands is an exciting recruit to Joseph's young hurdlers and won on his debut the Ex Ballydoyle inmate can go to the very top. He beat his stable companion and Ex Ballydoyle horse Monarch who was back in 2nd. Le Richebourg won on his hurdles debut he looks another exciting young hurdler. He will be one of Joseph's jumpers over the summer months. Plinth returns to action with a win he is an iron horse and never knows when he is beaten. He is likely to be one of Joseph's summer jumpers. Tower Bridge looked an exciting prospect when winning his second bumper by 5 lengths. Mischievious Max looks another good bumper winner for Joseph. Cornellius Sulla finally gets his head in front on his 8th attempt. He has been up against some good horses in that time. Kilclispeen showed his liking for the quirky course at Downpatrick with another win. Has started along the same lines as May with both winners on the flat and over jumps. Flat winner Sweetasever won't be the only winner Joseph will have on the flat. Rekindling didn't fire in the Derby at Epsom as he didn't handle the track , however there are still plenty of Group races in which he can excel. Joseph will have some runners at Royal Ascot and the hope is that one of his runners will turn out to be something special. Two winners over jumps up to the 6th of June with Treasure Chest and Persistent. Joseph is well on his way to reaching 100 winners, one can only see plenty more winners on the horizon for him. carrying on with his winning streak he can pass the 100 winners mark before the end of September, there is only has 8 runners to go, not bad for a rookie trainer. 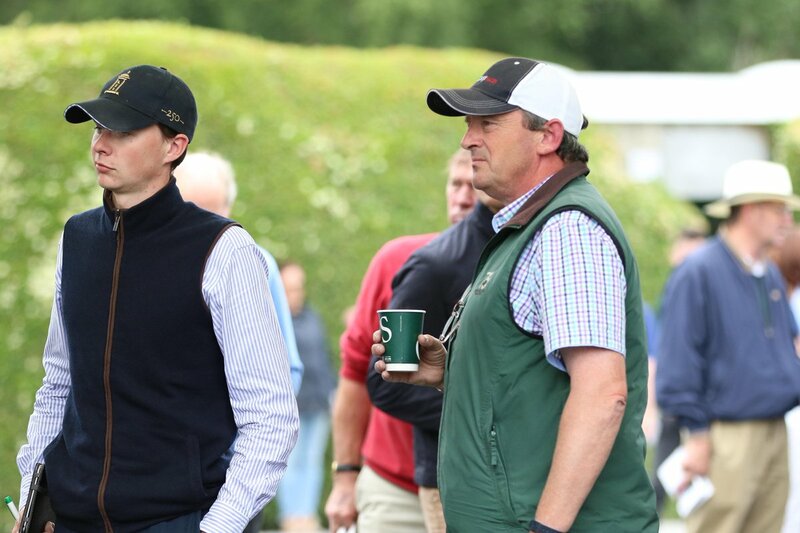 As the dust settles on another National Hunt season and the stable stars go out to a well-earned summer holiday at grass, I take a look back at some of the highlights of Joseph’s first season in the National Hunt sphere. It has been a good first 10 months for the stable. Runners – 269, Wins- 38, 2nd – 43, 3rd – 32 and 4th 36. His first National Hunt runner as a trainer was the JP McManus owned Mare Kalopsia on the 6th June 2016 where she finished 7th at Listowel. His first winner as a trainer was Mai Fitzs Jack also on 6th June 2016 at Listowel. He had 10 multiple winners in the 10 months including Landofhopeandglory and Slowmotion both with 3 wins each and he also sent out 16 horses who recorded single wins, Landofhopeandglory and Slowmotion also gave Joseph his first graded winners. Edwulf the winner of the Woodlands Nas Na Riogh Novice Handicap Steeplechase (Grade B). Slowmotion the winner of the Grade 3 Fowler Mem. EBF (M) Steeplechase and the Listed BBA Ireland LTD Opera Hat (Mares) Steeplechase. Landofhopeandglory the winner of the Grade 3 Bar One Racing Juvenile Hurdle. Slowmotion has been a very consistent filly since she joined Joseph she has had 8 runs, winning 3 and 2nd in 4 and falling once in her first ever Steeplechase. She was also 2nd in a Grade 2 and 2nd in 2 Grade 3’s. Landofhopeandglory has been Joseph’s most consistent Gelding with 7 runs over hurdles with 3 wins, and 3 places. He was 2nd in a Grade 1 and 2nd in a Grade 2 Hurdle; He ran a commendable 5th in the Grade 1 Triumph Hurdle at the Cheltenham Festival. Joseph has had a lot of luck with his Bumper horses winning 6, 5 of them first time out, including Mortal, Shady Operator and Early Doors. If ever a horse deserved to win a big one then was Katnap, I think he was a most unlucky 2nd beaten a length in the Grade 3 Topham Chase over the big fences at Aintree. He jumped the big fences beautifully and stayed on well in the run in unfortunately he just couldn’t peg back the winner that day. Hopefully he can return there in November for the Beecher Chase I think he will have a big chance. Joseph’s busiest horse over hurdles has been Zig Zag running 13 times winning 1 and placing 6 times. He deserved to win a few more races with all his efforts. His best effort after his win was a 3rd in a Grade 2 hurdle. Edwulf is still on the sidelines I have to hope that he can return to full fitness in the fullness of time whether that is to race again or to enjoy a long happy retirement at JP McManus’ I wish the best for this gutsy campaigner. Although he didn't win any races at the big festivals of Cheltenham, Aintree or Punchestown his team of horses did run with credit and that bodes well for the future. Joseph and the team have come a long way since the first heady days at the start of his training career, and I can only hope for more winners and bigger prizes for the team. As I write this the new season has already kicked off and with that we are starting to see the top of the ground horses coming out, they will have a chance to show off their talents in the coming months, with lots of new blood coming through and new owners I’m hopeful of a great new season for Joseph and the team. The date is fast approaching when it will be 6 months to the day that Joseph had his first official runners as a trainer, his first official runner coming with Justice Frederick on the 6th of June, He had a flying start to his training career with 4 winners that day. His first ever runner was also a winner, his other winners that day were Mai Fitzs Jack who was his first winner over Jumps, Zig Zag his second winner on the flat and Oathkeeper his second winner over Jumps. To date Joseph has had 19 winners on the flat from 140 runners and 23 winners over jumps from 137 runners. That figure will be surpassed when his first year is up as his team is split 50/50 between Flat and National Hunt which means he can have horses in action all year round, He has a team of lovely horses with which to go to war with along with 28 owners who can give him a greater variety of horses. Just over 5 weeks on from sending out his first runners he had his first pattern winner when Arya Tara won the Listed Stanerra stakes, the best was yet to come however on that unforgettable day at the Curragh back in September when Intricately scored by a short head from Hydrangea to give Joseph his first Group 1 winner in the Moyglare Stud stakes, Intricately was ridden by his brother Donnacha(she was also his first Group 1 winner) she gave them the bragging rights over their father Aidan whose fillies had to settle for the 2nd and 3rd spots. Intricately also gave the brothers their first taste of the Breeders' cup as a trainer and Jockey but it was not to be as she finished 11th on a track that was too tight for her, she should make a lovely filly for Joseph next year with an entry in the Classics on both sides of the Irish Sea. Along the way the team at Owning Hill have experienced the heady highs of having winners but also the down side of the racing game with the losses of the exciting Bel Sas, Soulier De Satin, Distinctively and the quirky Cradle Mountain, with each loss the team has to pick themselves up again and soldier on. With Joseph attention to detail and the horses being the number one priority you can be sure that they have the best life that they can. I can say it shouldn't be too long into the future when Joseph sends out a Classic winner and a Gold Cup winner from the yard. 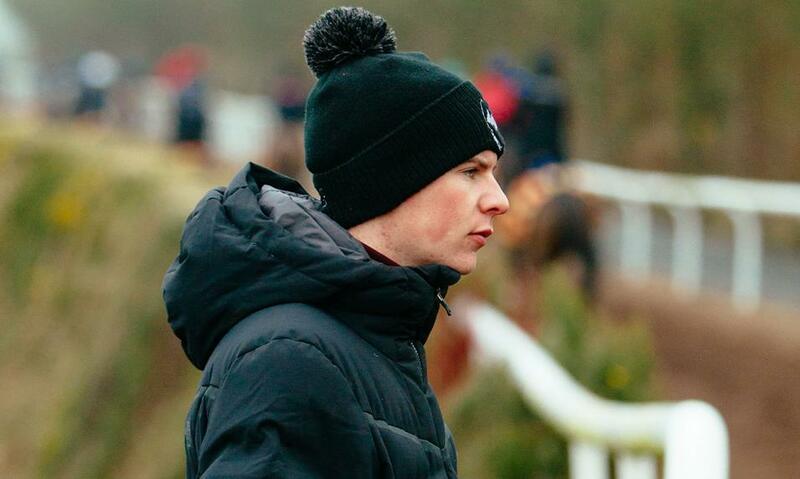 Joseph is an exciting young trainer quickly going places and I for one look forward to going on that Journey with him, he is a Champion trainer in waiting. I have seen many great Jockey's over the years Lester Piggott, Pat Eddery, Steve Cauthen to name but a few they all had such an affinity with their horses and could make a horse win that had no right to do so. Then along came a young man that caught my eye his name was Joseph O'Brien he made me sit up and take notice, he was to me a sympathetic horseman with lovely hands and like the men mentioned above horses liked running for him, unlike them though he was riding in the internet age where every move he made was dissected he received a lot of unfair criticism, it never seemed to affect his confidence but I'm sure deep down some of it had to hurt instead he continued doing what he did best and that was by riding winners, not just in Ireland but all over the world. Increasing pressure to maintain his weight had him try riding over jumps for a brief period of time however he finally gave up that battle and retired in 2015. His riding career may have been brief but he had some high points 2 Derby's on Camelot and Australia and Breeder's cup turf on St Nicholas Abbey. In that time he won 11 classics . He did return to the saddle to win the legends race at Doncaster at the beginning of September proving he still retained all his talent. Joseph hasn't rested on his laurels since he retired from the saddle, he turned to training and was the real power behind Ivanovich Gorbatov's win in the Grade 1 Triumph Hurdle at Cheltenham in March this year. Joseph has taken to the world of training racehorses with the same focus that he had when riding, it hasn't taken him that long to claim his first Listed winner and his first Group 1 winner having only had his trainers licence since June, he has the ability to become a great a trainer as his father Aidan. 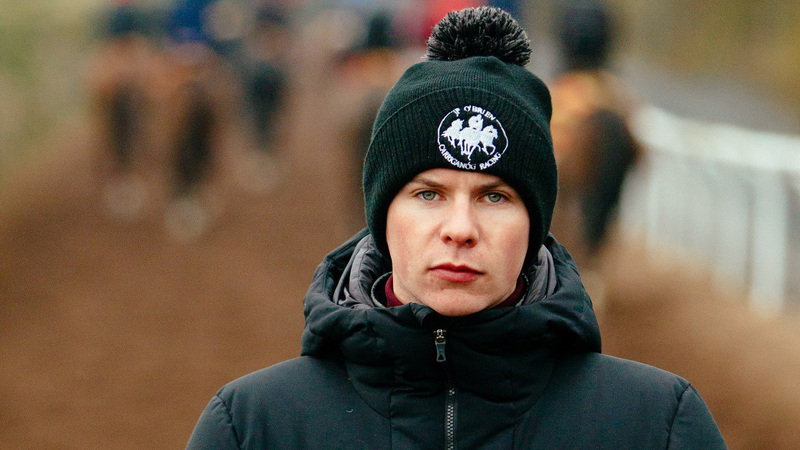 I for one look forward with interest over the coming years to see him develop as a trainer, he has the world at his feet both on the Flat and over Jumps. Continued success to Joseph and the team at Owning hill.